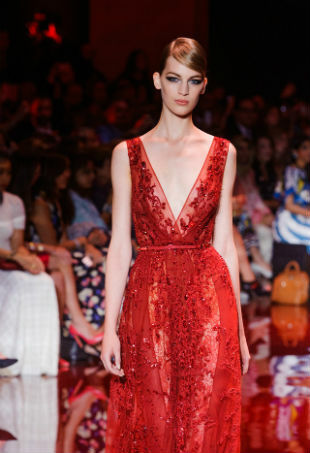 See all the Elie Saab Haute Couture Spring 2016 looks from the runway. We're giving Cate a big thumbs up for this effortless and refined look. 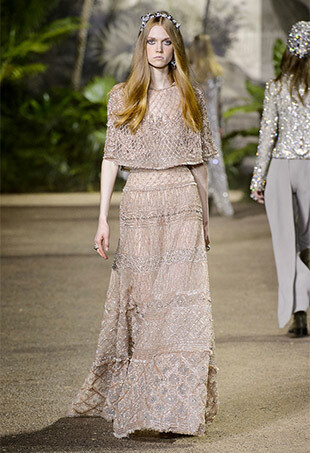 Saab kept it tone-on-tone for looks that felt approachable and destined for the red carpet. Clustered embroidery and tastefully exposed shoulders.